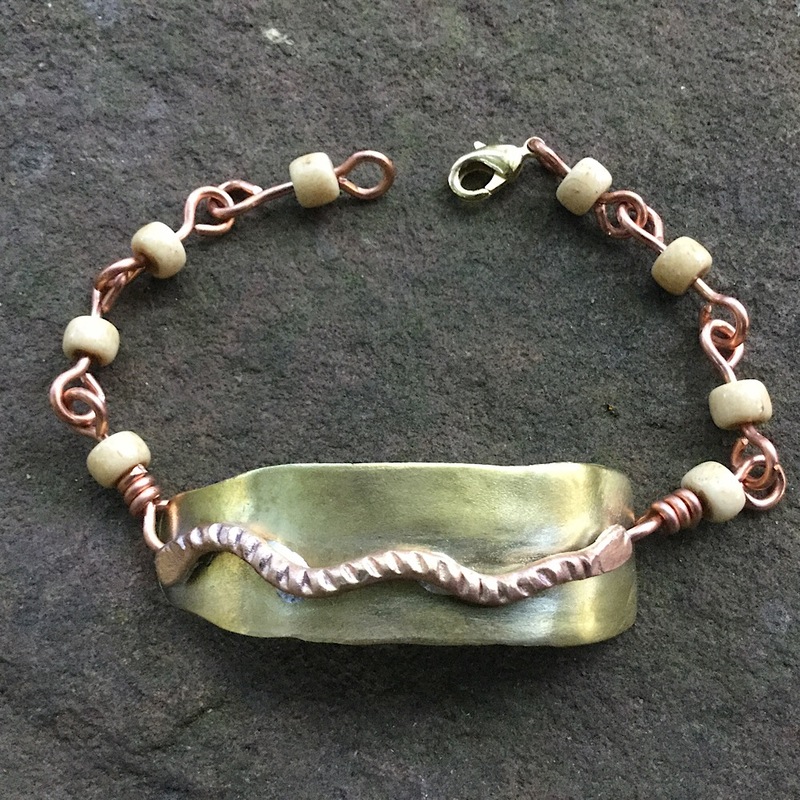 Brass Bullet Casing Bracelet, Bullet Bracelet, Brass with copper bracelet. Bullet Jewelry. 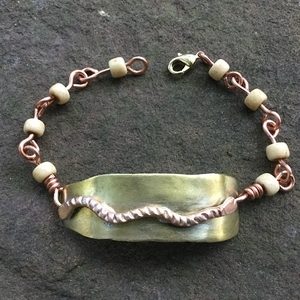 Hand hammered brass casing with copper rope accent, copper wire and bone beads. Adjustable length. This new design is handmade in the USA by The Fun Company Jewelry.